The baseball game is at 6:00 tonight you should go and support the elgin high school at 6’00 tonight bring money popcorn or whatever you need to go support the elgin owls and also you can bring a blanket and family members there is also concessions and everything else. If you love movies and old films this is the festival for you come out Muskogee Oklahoma on April 18-23, 2017 to this one and only film fest it has short films, documentaries, music videos, animated movies, comedies, dramas, sci-fi and horror films, thrillers and world cinema . The Bare Bones International Film Festival showcases award-winning independent movies, screenplays and musicians. This film festival provides a platform for low-budget, independent movies from local, regional and international filmmakers. The Bare Bones International Film Festival takes place at various venues around Muskogee and features more than 150 movies, various panel discussions, educational seminars, a parade of classic cars, red carpet awards gala, live music and a movie poster art gallery. This grassroots festival plays host to more than 200 actors, screenwriters, directors and producers. It was founded in 1999 and has been named one of the top 25 indie film festivals in the country by MovieMaker magazine. The Bare Bones International Film Festival is open to the public. Located at the Roxy Theater & various venues 220 W Okmulgee Ave Muskogee, OK 74401. The rock band, 38 Special, will be performing at the Apache Hotel Casino in Lawton Oklahoma (located at 2315 E Gore Blvd). This concert is on Thursday, April 6, 2017 and begins at 7:00 pm. After this concert, you may even go to the casino itself and gamble. Also, there will be food and drinks; to include alcoholic beverages. Come out to enjoy good music and drinks/beverages. Yesterday was Elgin high school cheer stunt competition in Jenks Oklahoma. We played Jenks and Broken Arrow. They did very good for it only being there second competition . They have changed and look a lot better then they did at the beginning when they were learning it. They sadly lost , but we beat are own score YAY!! there next competition is in Chandler Oklahoma April 8, 2017. Good Luck ladies keep up the good work! At the Valley Park Sports Complex in Owasso, Oklahoma on April 2-8 there will be a music & camping festival. Dozens of bands play across multiple stages on an enchanting piece of land. Many people come here to enjoy camping, art, yoga and endless self expression at this festival. Tomorrow night the Oklahoma City will travel to Orlando to face off against the Magic. With the record of 42-31 the Thunder is 6th in the Western Conference. 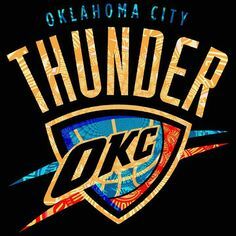 With the starting unit including two veterans, Taj Gibson and Russell Westbrook, and the three upcoming talents in the league, center Steven Adams, forward Victor Oladipo and guard Andre Robinson, Oklahoma City looks to dominate the closing nine games of the season. Beat butter, white sugar, and salt together in a bowl; add 2 cups flour and stir. Beat 1 cup flour into butter mixture; mix until a sticky dough forms. Whisk egg, vanilla extract, and milk together in a bowl. Beat remaining flour and egg mixture into dough. Cover the bowl with plastic wrap and refrigerate for 30 minutes. Break off a small portion of dough and roll it out on a lightly floured work surface into a 1/4-inch thick round. Place round on prepared baking sheet. Repeat with remaining dough. Bake cookies in the preheated oven until slightly golden and soft, 8 to 10 minutes. Transfer cookies to a wire rack to cool completely. Cook and stir coconut in a large skillet over medium heat until golden brown and toasted, 2 to 4 minutes. Melt caramel bits in a microwave-safe bowl, stirring every 30 seconds, until melted and smooth, about 2 minutes. Stir coconut into caramel. Press a spoonful of caramel-coconut mixture into the top of each cookie. Melt chocolate in a microwave-safe bowl, stirring every 30 seconds, until melted and smooth, about 60 seconds. Dip the base of each cookie into melted chocolate and place dipped cookies on parchment paper until chocolate sets. Drizzle chocolate over the top of each cookie.